These days, a good salad is the equivalent of that surprisingly decadent-tasting Greek yogurt you got from the grocery store. Basically, it’s proof that you can stay healthy and love what you’re eating at the same time. And what’s better than that? 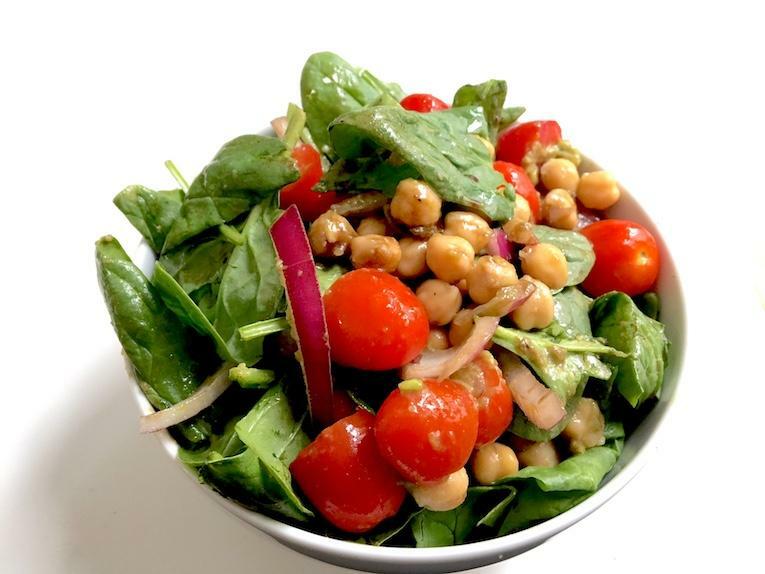 This balsamic chickpea and cherry tomato salad recipe is as simple as it is delicious. You can toss it all together to create a flavor-packed lunch in less than five minutes. Oh, and bonus: All of the ingredients needed for this salad are pretty cheap. Bam — meal woes gone. Toss all your ingredients into a bowl and mix, or if you’re meal prepping, pack the produce and dressing separately, then mix them together when you’re ready to eat.